Reel Talk Online: Contest: How Would You Survive an Actual Purge? Contest: How Would You Survive an Actual Purge? Ever since I saw The Purge last year, my friends and I have been debating about how we would survive an actual purge, and if we would participate in it. As it turns out, many of us are apparently closeted criminals just waiting for the chance to pull off something like this. (Just kidding...I'd be hiding out under the bed with a butter knife, saying my prayers). 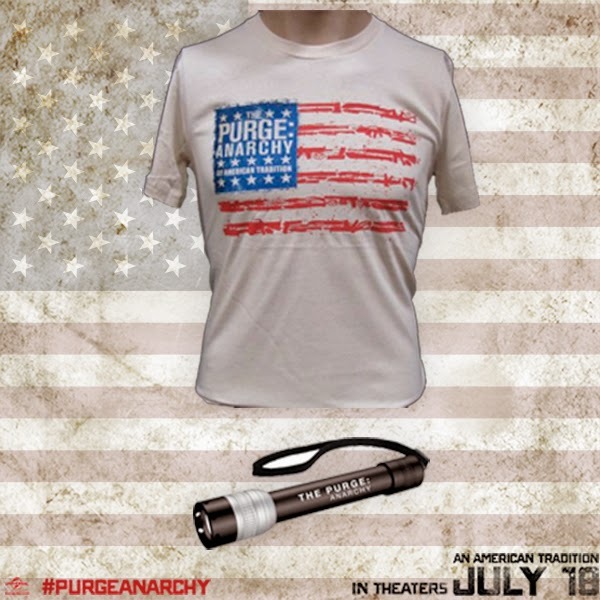 And to inspire some of your responses (creep you out a little more), check out a list of "5 Things To Know Before You Watch The Purge: Anarchy Interactive GIFs:"
The last day to submit your answers is Monday, July 21st, at 11pm EST. Please remember to share your response in the comment box below and include a way to contact you should you win the prize pack. Each household is only eligible to win One (1) Purge Prize Pack via blog reviews and giveaways. Only one entrant per mailing address per giveaway. If you have won the same prize on another blog, you will not be eligible to win it again. Winner is subject to eligibility verification. The giveaway is only open to U.S. residents. I'd hide out at my job. 1) Security hates to let anyone upstairs. 2) Ain't nobody trying to come there willingly, even to purge. 3) Snack machine stays full.